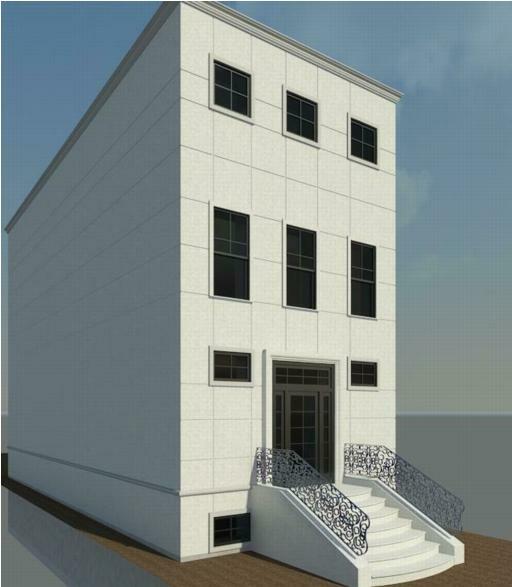 Proposed single family residence in upscale Chicago neighborhood, with classical limestone detailing and artisan crafted metal railings. The main challenge of this type of home is keeping in character with the classical elements of the older homes on a block while complimenting the neighboring modern construction for a compositional whole. As always, mature vegetation should be respected and kept safe from demolition.